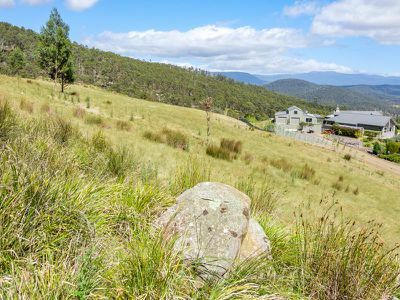 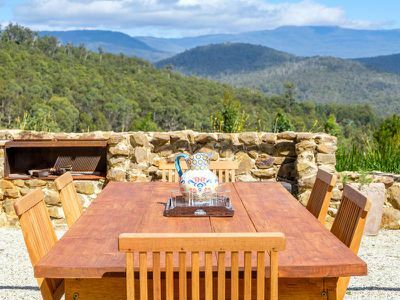 Introducing this spectacular lifestyle property, nestled on 165 acres with incredible 360 degree vistas. 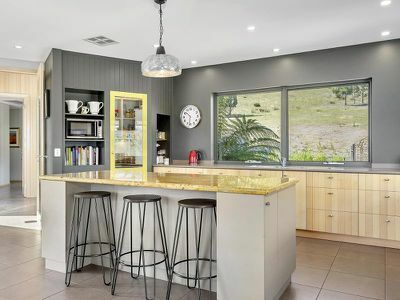 The property that has it all, beautifully presented, amazing entertaining area, level land surrounding the home and completely north facing for all day sun. 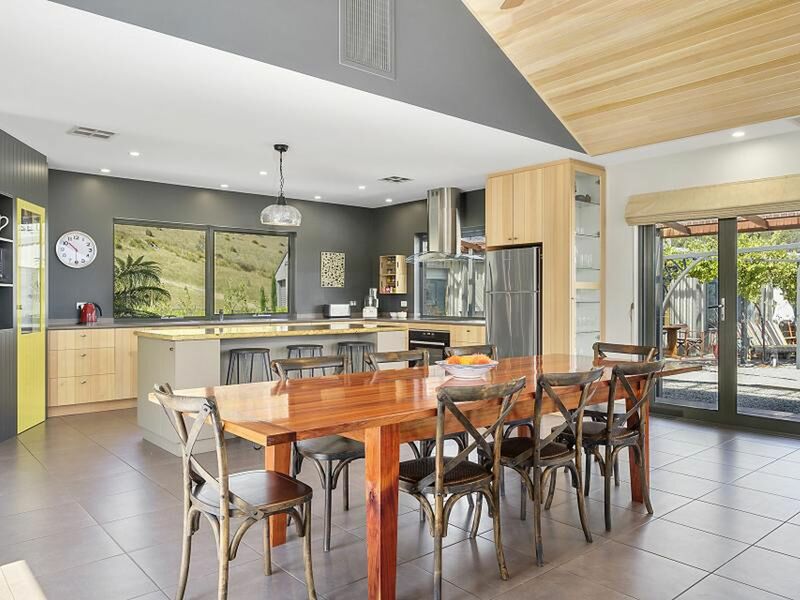 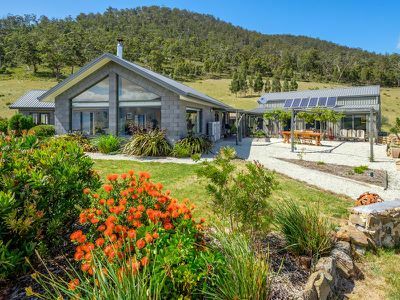 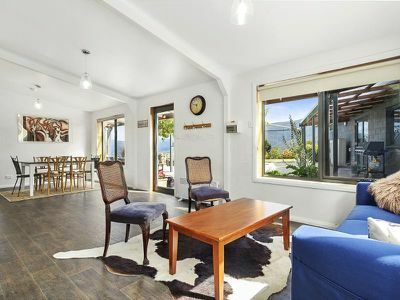 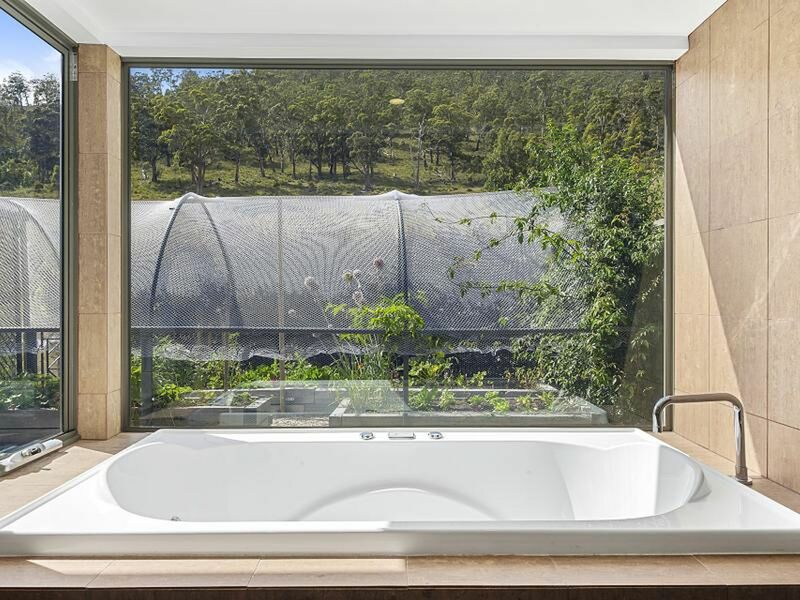 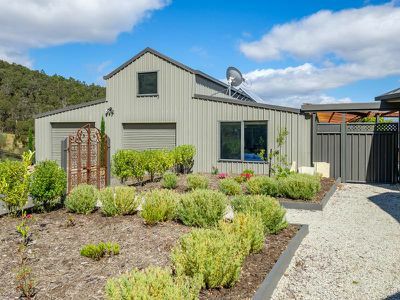 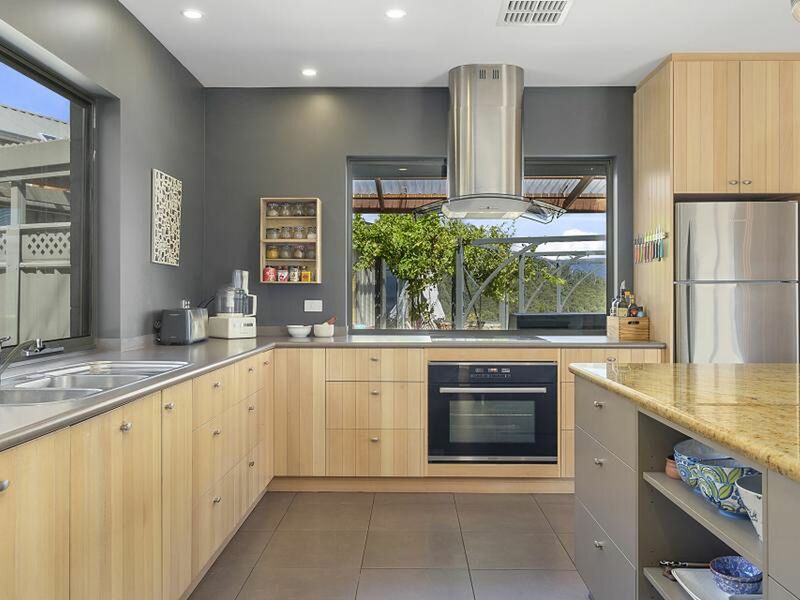 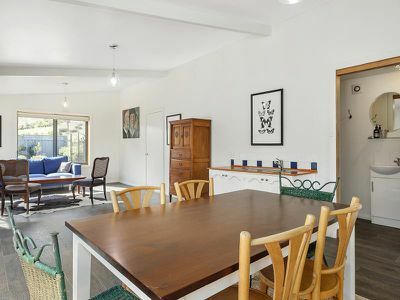 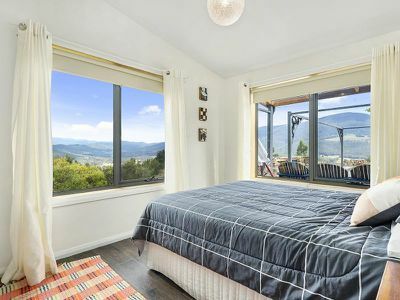 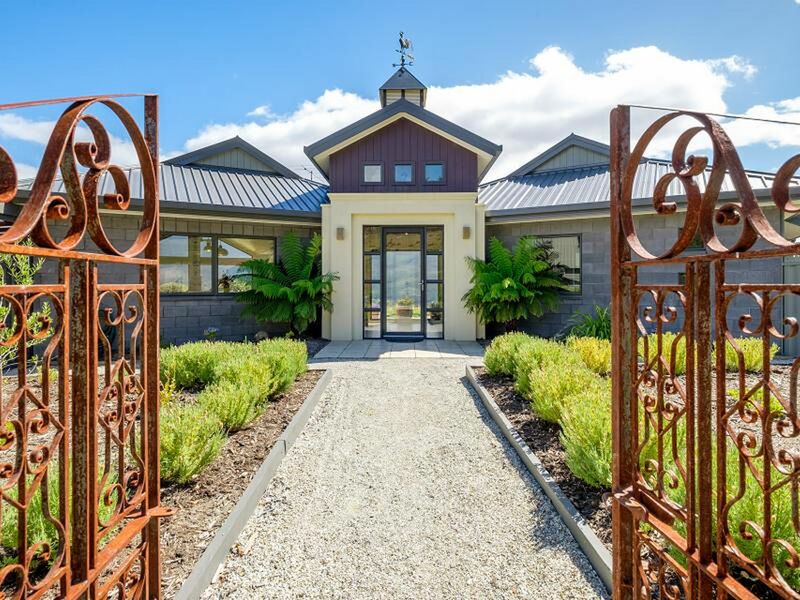 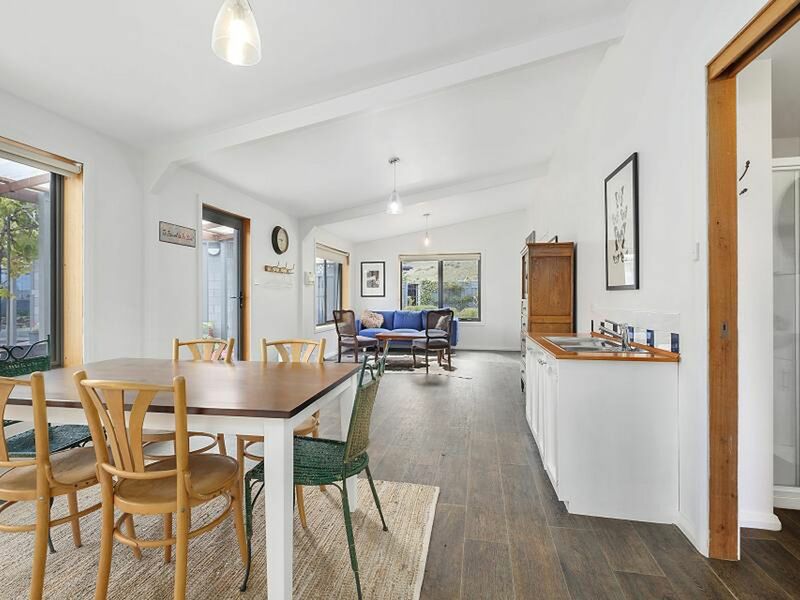 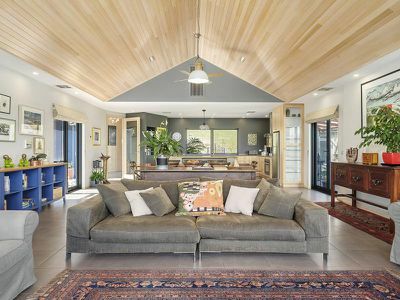 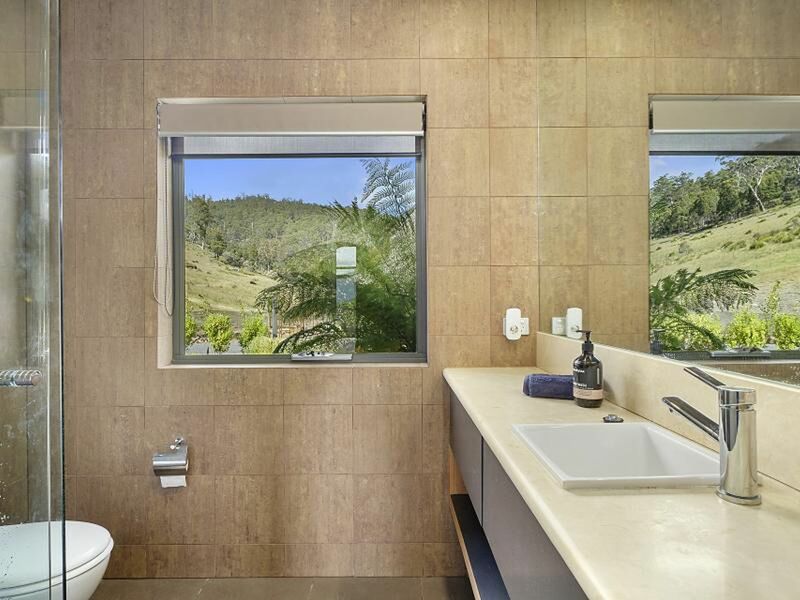 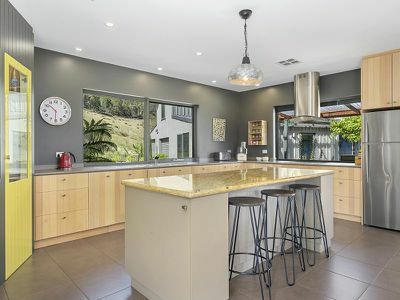 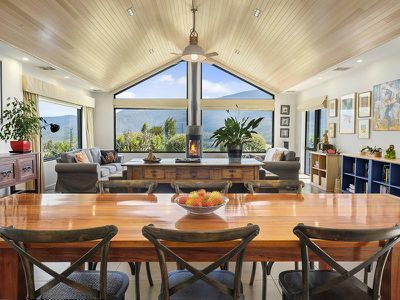 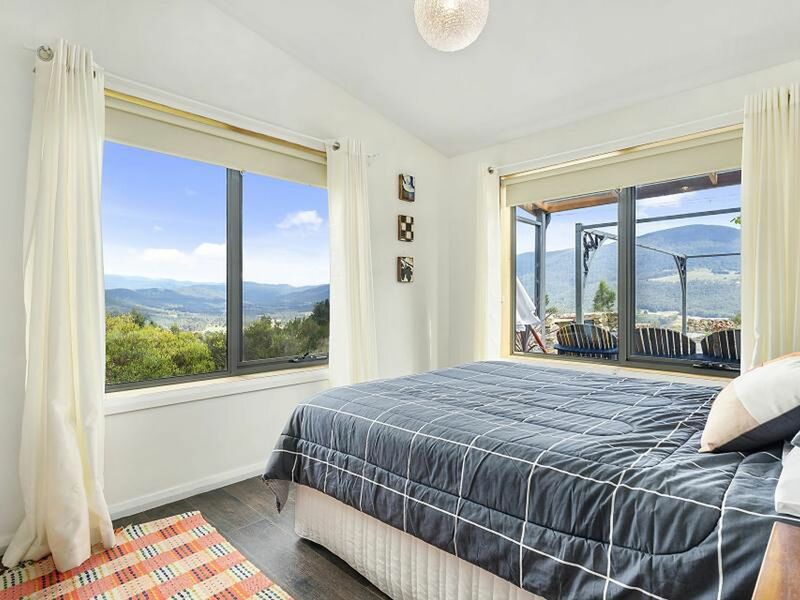 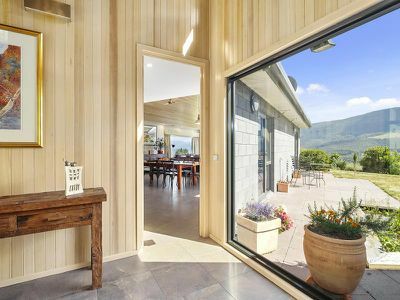 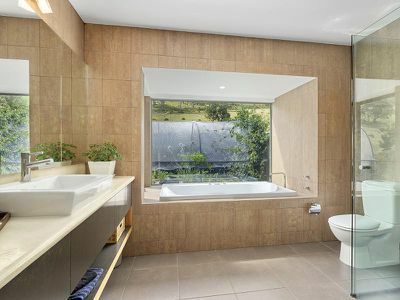 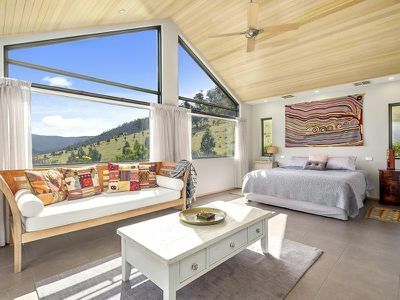 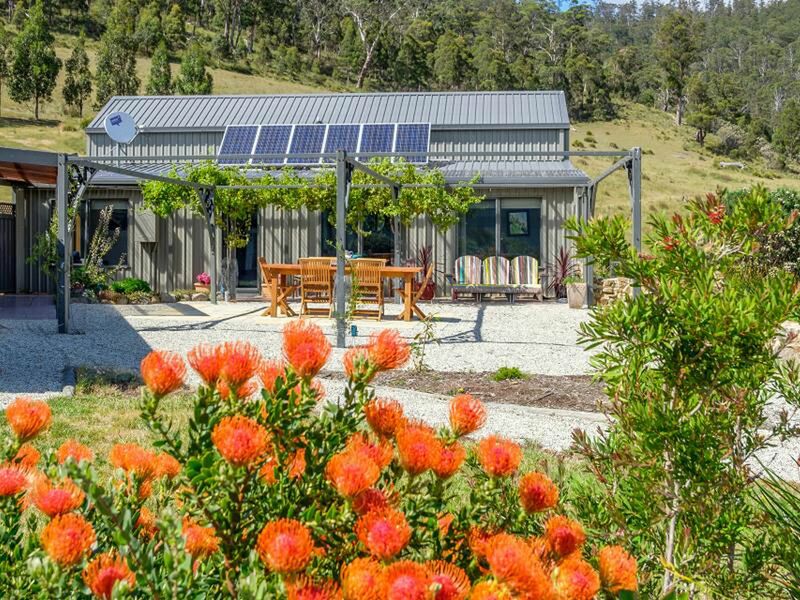 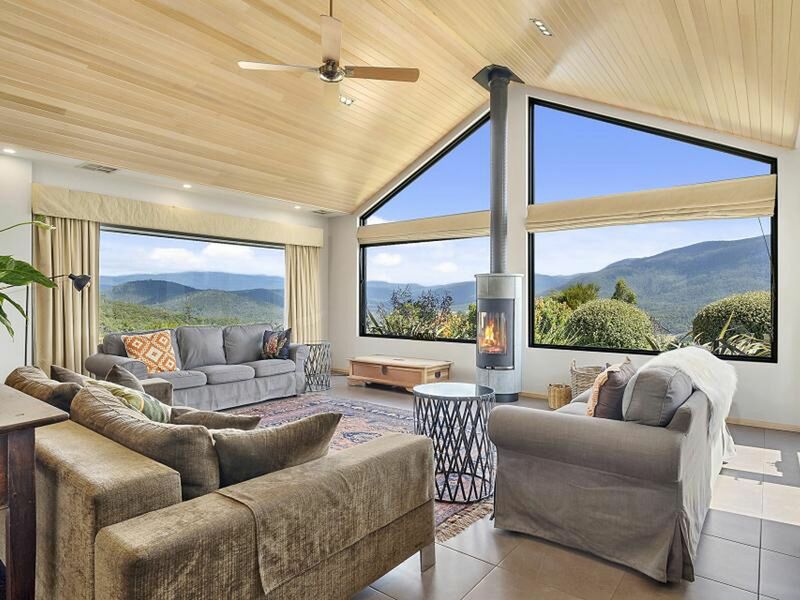 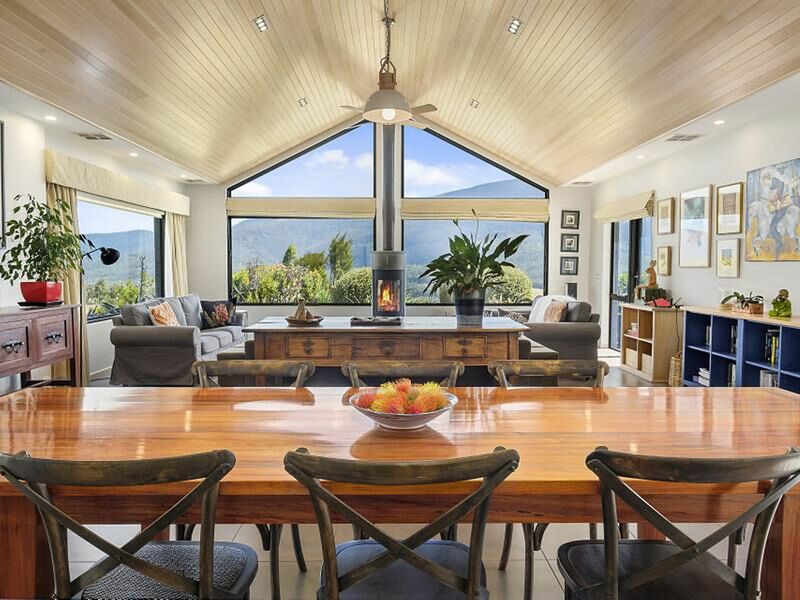 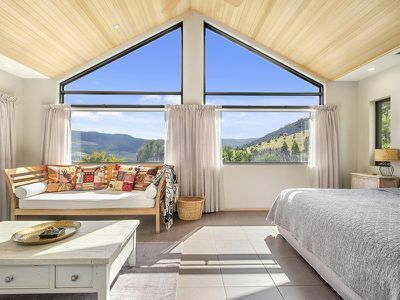 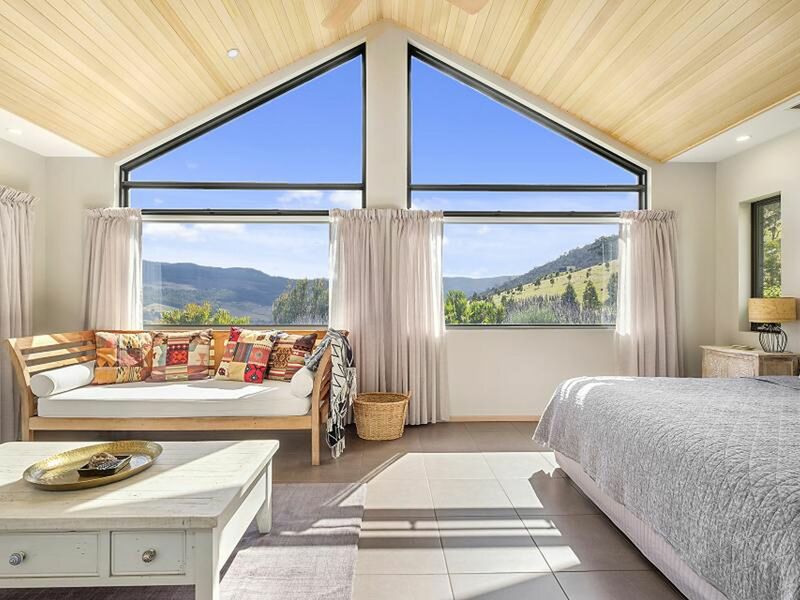 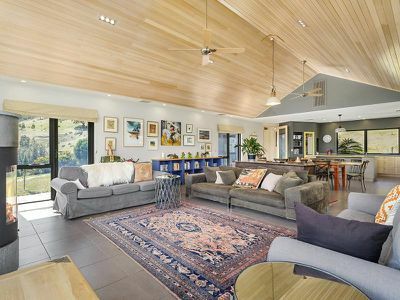 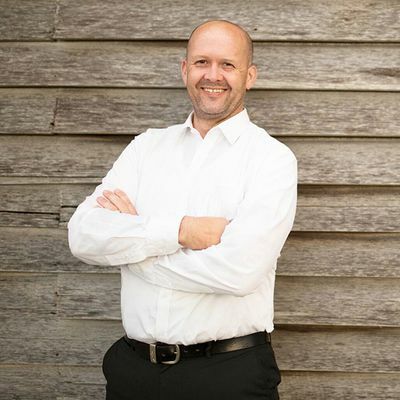 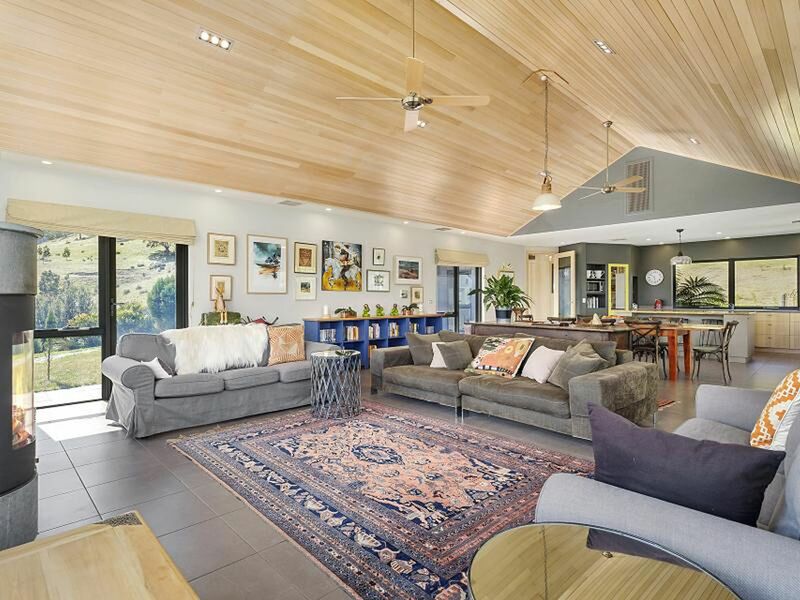 Inside the home is immaculate, with a large open plan living area, beautiful Tasmanian Oak raked ceilings, a unique free standing fire and impressive floor to ceiling windows to match. The main bedroom has a large ensuite, complete with a spa bath looking out over the garden and beautiful green surrounds. 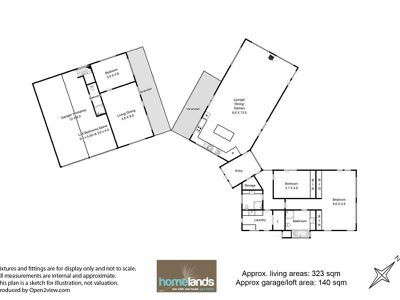 As you drive up to the property you will find a fully fenced yard complete with security gate for that extra privacy and peace of mind. There are a number of water tanks on the property, meaning water will always be in ample supply. 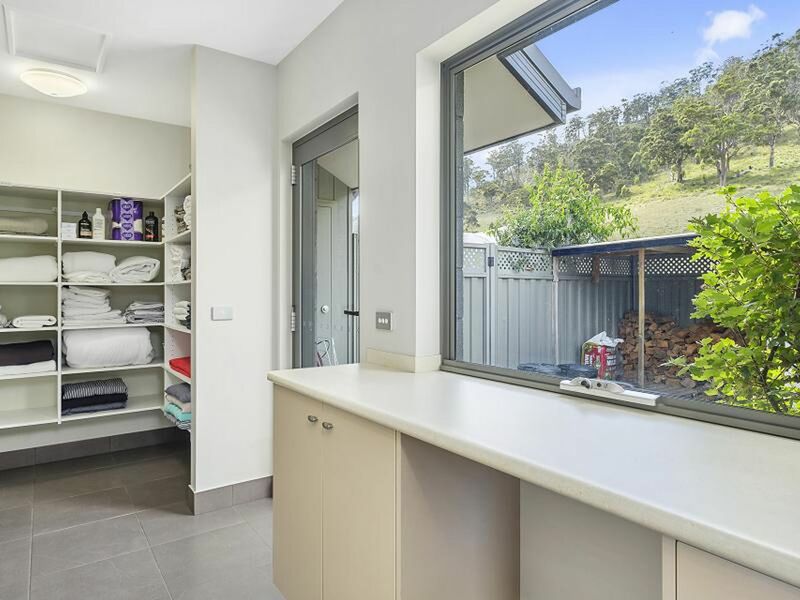 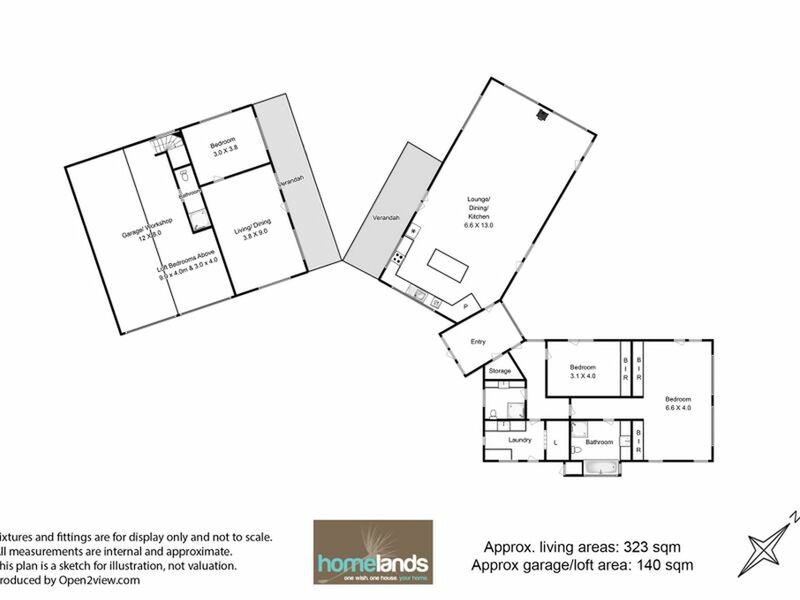 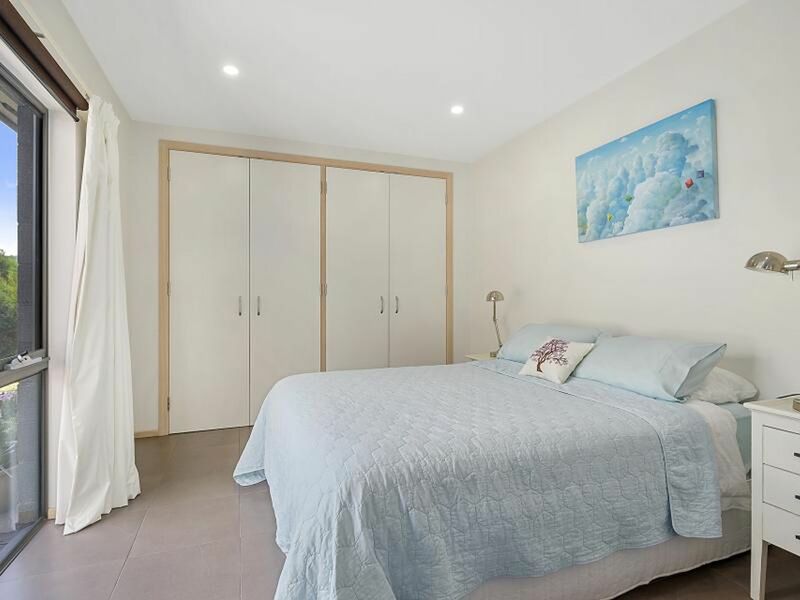 The home features a large garage that has been partially converted into its own living space, complete with a living and dining area, bathroom, bedroom and loft area, whilst still maintain a garage and work shop. This home is the entertainers dream, imagine entertaining family and friends on one of the 2 verandas on a warm summer night, overlooking the beautiful gardens and patio area. 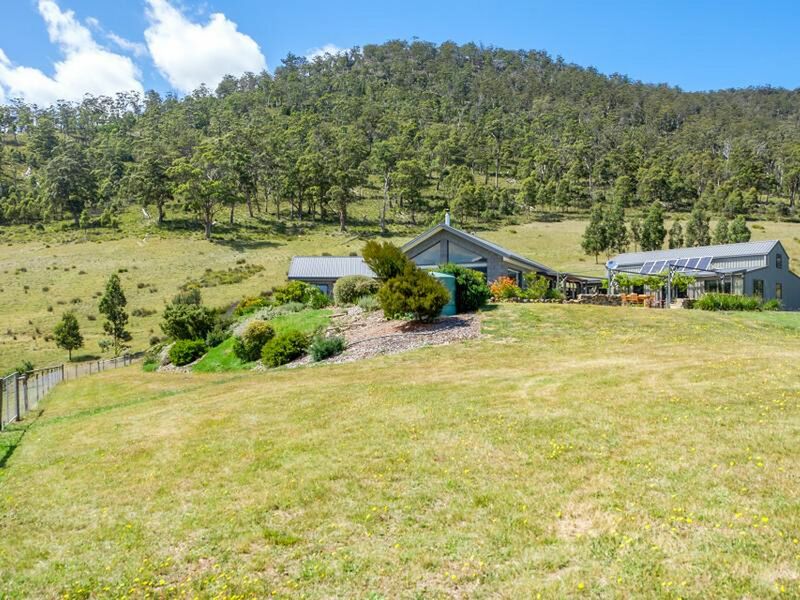 Out of the impressive 165 acres of land, around 20% of that is pasture with the rest being bush. 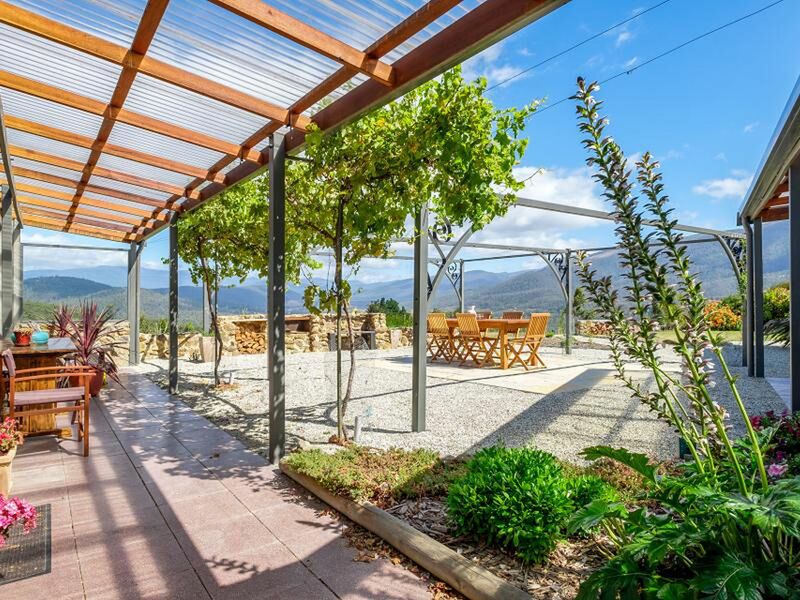 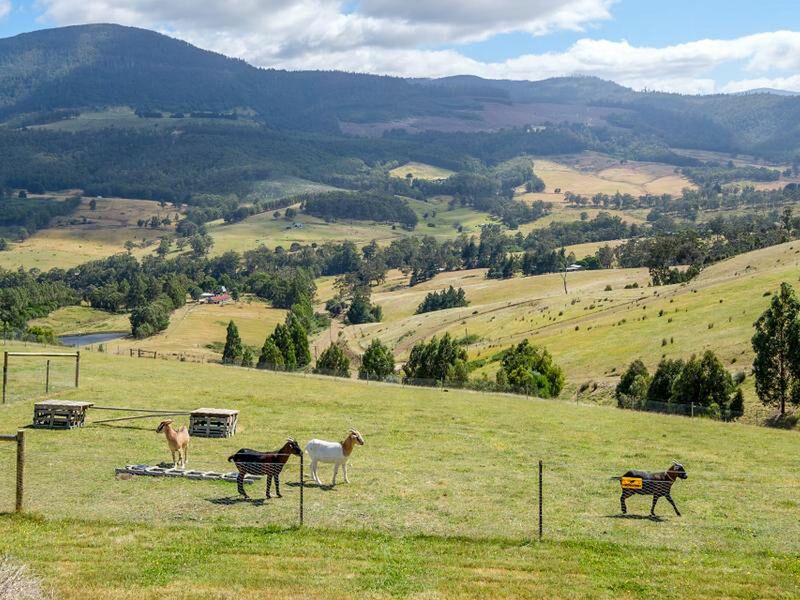 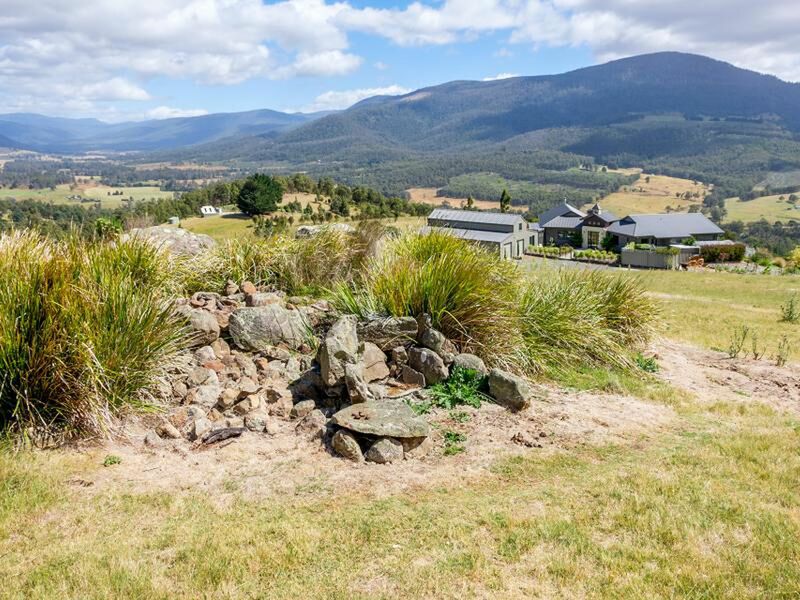 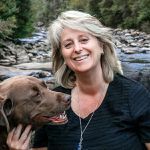 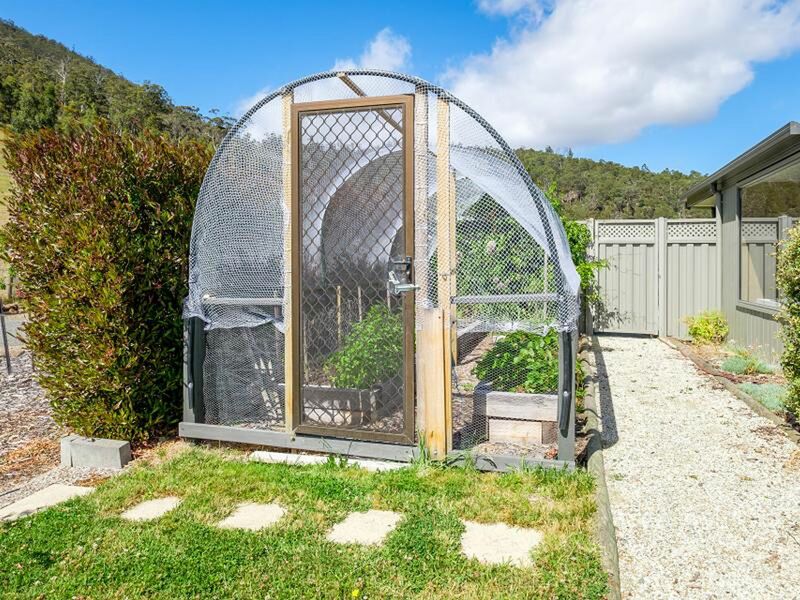 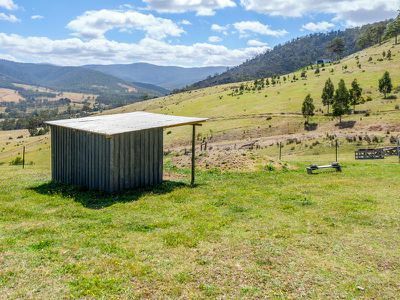 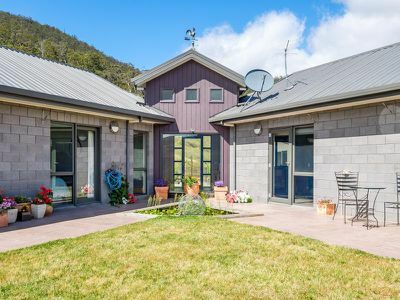 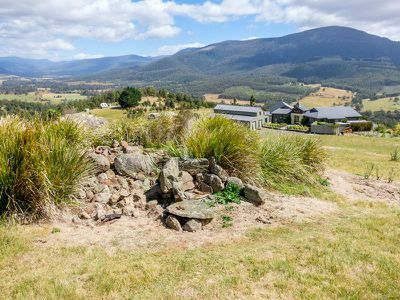 There is so much potential with this property, whether that be creating a hobby farm and growing your own produce or using the home as a potential income, with holiday accommodation such as Air BnB. 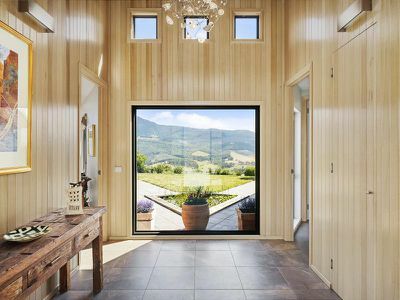 Whatever you decide, this home is sure to impress.